It’s like an annual pilgrimage I undertake to Birmingham to spend time with the new recruits of the Action Team who spend a year with BMS world mission learning and then engaging in mission all over the world. Each year I train the team in evangelism and then spend a few hours putting into practice the things we’ve learnt. Today the trepidation for the outreach felt tangible when I arrived. 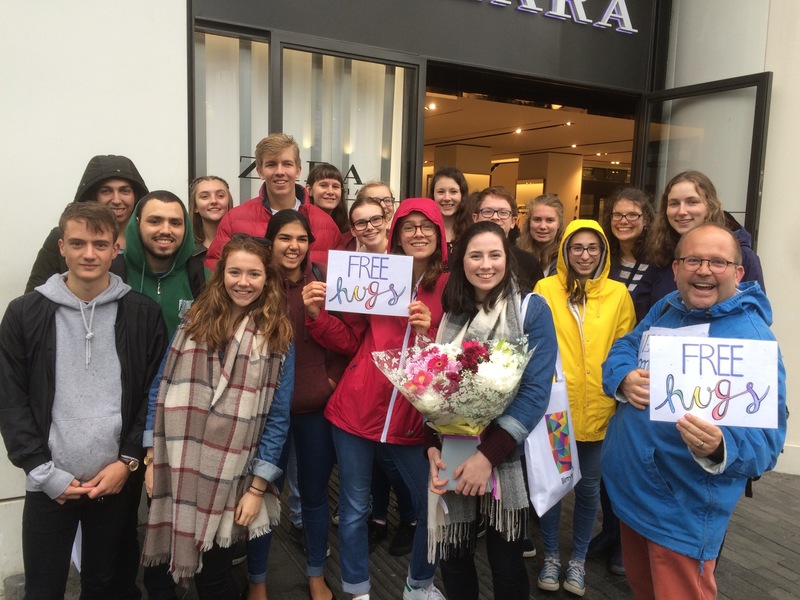 Word had got out that they would head off to the city centre to do ‘street evangelism.’ ‘How are they doing?’ staff at the centre asked. “Petrified!” I replied. While they were imagining intrusive, loud preaching we did two simple things out in the city which I believe helped them grow and also see the response from people, that overall people are very happy to talk and engage with people seeking to share their faith. For an hour the teams took a tray and £5 to buy things to put on the tray and offer gifts. The teams chose flowers and fruit to give out. The reaction from the public encouraged the Action Team as the reaction was very positive and many people asked them about it. ‘Trade up’ is simply taking something small and trading it for something larger and then larger to then give a gift to someone that would bless them. The team managed to trade a small pebble to get a bag of gifts for a couple who were homeless. The gifts included socks, a sleeping bag and some food. I remember doing a similar thing with you in Weston Super Mare a few years ago and I’d like you to know that it encouraged me to do things like this in my own community – a small Wiltshire market town. In fact we will be in the Market Place on 30th September offering “Wise words” (of scripture) as part of the town’s literacy festival.